This is one of the most common forms of Thai Visas issued by the Thai embassies worldwide. Most Thai Tourist Visas are either single entry, 60 days or double entry – valid for 120 days based over two legs. Today this has become very difficult to obtain in Asia except for the Thai Embassy in Perth and the Thai Embassy in Auckland. You can still at last we heard obtain one at the Thai Embassy in Hull and at the Thai Embassy in Los Angeles. If you have problems obtaining a visa for Thailand then speak to us online for assistance as the Thai government is cutting down on what they call visa abuse. Can the Thai Tourist Visa be extended? 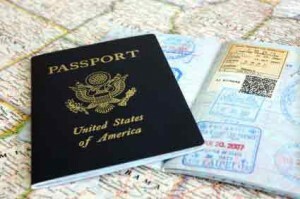 Yes, the Tourist Visa can be extended for a period of 30 days. Once you have reached the end of your Thai Tourist Visa near the end of the 60 days, you can have this extended in country for an additional 30 days. This at the time of writing cost 1,900 Baht. Once this has been extended and after your 30 day extension has passed, you can do a “Visa Run”, that is go to Cambodia and return to Thailand in 1 day which would then activate your second leg of your visa IF it is a double entry visa.